Do you ever feel like reaching into your computer screen to just grab that traffic and bring it to your hubs? I do! This hub offers several tips and tutorial links on how to improve and increase HubPages traffic. Plus, it provides specific resources on how to develop referral trackers and improve SEO. Be sure to check out the important links at the end of the tip list. The linked hubs are the specific tutorials you need to improve and increase your HubPages traffic. NOW - Let's Grab that Traffic! How To Find and Use Keywords: Easy SEO HubPage Writing TipsSee How To Find and Use Keywords free - using simple SEO hub writing tips without doing a lot of research or paying for programs. Here are twenty valuable tips to get your hubs moving in the right direction. 1.FOLLOW - Follow and support your followers. Plain and simple. 2. FAN MAIL - Leave Fan Mail. Hubbers can be a sentimental bunch – leave fan mail and let the hubber know why you are following. You will likely get followed back if you leave warm fan mail. 3. COMMENT - If someone took the time to comment on your hub it would be nice for you to comment on one of his or hers as well. Not always an easy task, but one you can build on during down time. Note – I like to pick one of my followers’ older hubs. It helps bring it to the forefront again. Also, did you know that when you comment on your own hub it brings it back to the front feed page? This way you are acknowledging and thanking your followers while also bringing it back to the news feed. 4. 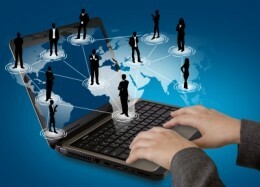 SOCIALIZE - Take part in the camaraderie of HubPages. I tend to stay out of the HP Forums – I’m not quite brave enough. I socialize on Twitter and Facebook. There are also several forums out in the WWW. Just google your favorite topic and include the word forum. I'm sure you will find a forum that suits your niche. 5. TWEET - Join Twitter and find fellow hubbers. Everyone likes a retweet. It’s a great way to support each other. I’ve caught some awesome hubs through Twitter that I would have never caught on my HP news feed. If you spot a tweet from a fellow hubber click retweet - let's support each other. This is a great way to gain followers and supporters for yourself and fellow hubbers. 6. FACEBOOK - Join Facebook and create a page with your pen name – many have their own Pages to promote their work. Also, many hubbers have groups where you can share your hubs. This is a great way to circulate your hubs on Facebook. 7. BLOG - Create a Blog for organizing and promoting your hubs. Some hubbers have blogs for each of their respective topics. These are great for backlinks and gaining new followers. 8. REFERRAL TRACKERS - Create referral trackers for ALL of your links. This is the ONLY way to earn credit if someone signs up as a hubber. If they joined HP through one of your referral trackers then you get a percentage of their HP revenue. 9. SHARE - If you really like a hub you have read SHARE IT! Your followers might find it interesting as well. By the way - be considerate when sharing your own work on the news feed. I've seen hubbers share over 5 hubs at a time (daily) - this only makes me want to un-follow. If you keep up with your comments you won't have a need to share often. However, it is a wise idea to share something that has been buried away with no views after a week or so. By then you have new followers that might find the hub interesting - if not then it is time to reflect on it and figure out what you need to do to revise it. 10. EDIT – I don’t care how good you are. Mistakes happen. I have read my hubs multiple times and I am still shocked to find grammatical errors weeks after they have been published. 11. FORMAT – I LOVE formatting my hubs. Make sure to add effective sub-titles and images. You want to guide your reader through your hub. Learn how to make your own headers. Play with the photo and text capsules. Yes, your content is the most important, but dress it up a bit. 12. PHOTOS – Take the time to dress your text. Look for photos, which will support your theme. Nice looking hubs are promoted. Who doesn't like eye candy? Just keep it relevant. Check out the HP Learning Center to make sure you are not committing any photo violations. For example, obvious watermarks such as the @ in front of the image WILL BE FLAGGED. Don't even try it. Regardless, it cheapens the quality of your hubs. 13. LINK – Link your hubs. As you build your portfolio of hubs you will begin to see a pattern of favorite topics. At the end of your hub you can add a list of similar hubs for your readers to choose from. You can also help promote a fellow hubber. Many will return the favor. Use these links in your e-mails, external forums and social networks. This helps feed and fuel your content on Google! 14. RESEARCH – Once you've decided on a topic take the time to research the competition. Try a keyword search on HubPages and see what has been written on the same topic. This can help you fine-tune your angle. It is also a great way to include links of fellow hubbers in your hub. Follow and support hubbers in your topic area. Many are willing to support each other and link to each others' hubs. 15. HTML – ok, I’m not going to make you learn an entire course in HTML, but the greatest tip is one by Sinea Pies, Her hub teaches you to set up your links to open in another window. Why is this important? You gain a longer impression, which means money. The viewer does not lose sight of your page. They are simply viewing the link you supplied in another window. When they close that window YOUR hub will still be there. This gives them an opportunity to leave your hub open while they click your links, encourages them to possibly leave a comment, vote and/or bookmark your hub. 16. ANALYZE - Click the "Hubs" link at the very top of the HubPages toolbar. This will take you to the crème de la crème page. Go to the 'Best' list as opposed to the 'Hot' list. You'll want to know WHO these people are and HOW they got there. Check EVERYTHING. Look at the Google search friendly title. Read the first paragraph to see how they incorporated the url-title and keywords into the text. Look at sub-titles and notice how they support the content and search friendly title. Analyze text length, quality and purpose of content, plus review the Amazon and Ebay capsules. Look for any strategies in how the hub is formatted and how the photos are described. The best lessons are by observing the successful veterans. Main points: Have content over 500 words, have a search friendly title with supporting search friendly sub-titles per text box, a unique summary that supports the title and content (summaries are crawled and displayed by search engines), visually appealing photos and format that guides the reader, and most importantly, DELIVER what your title and summary says it will deliver. 17. YAHOO! – Do you yahoo? You should! Yahoo! Answers can help drive traffic your related hubs. Build a profile on Yahoo and start answering questions. Find the questions related to your topics and hubs. 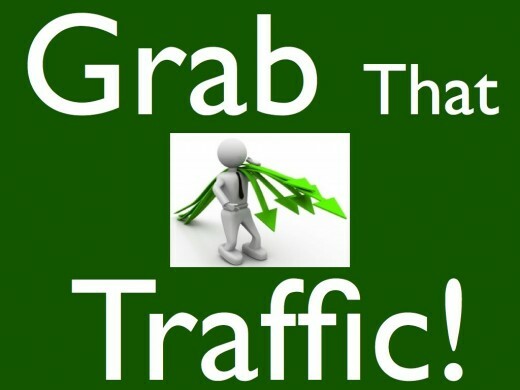 You can include your links and it will greatly help generate more traffic. 18. TITLES & KEYWORDS – I am by no means an SEO expert. I’ll give you a few links later, but be sure to include your keywords and title within the first ¼ of your hub. This will help keep your hub in the search engines. 20. LEARN the KEYWORD GOOGLE TOOL – Many hubbers do not even know this exists, but it is a valuable tool. Google would not have even taken the time to create it for FREE if they didn’t find its mutual value. 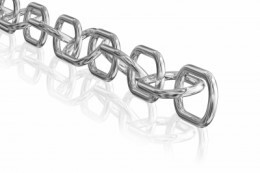 Don't be the weakest link! Try these links for success! Format and Bling your Hub - Bling My Hub!